In Winter 2016, Fentress participated in a planning effort for a new circuit courthouse in Howard County, MD. 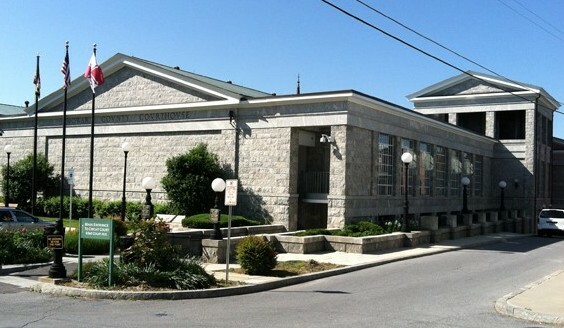 Originally built in 1843, the historic circuit courthouse in Ellicott City, MD has undergone several renovations over the years, including several addition and expansion projects in the 1980s. The county has continued to review options for upgrades and modernization projects, as well as new construction opportunities to meet the demand for additional space. As part of this effort, Fentress worked with Chartwell Enterprises to develop preliminary construction cost estimates and life-cycle cost analyses for two new county courthouse construction options. The 50-year life-cycle costs included the annual operating and maintenance costs and periodic maintenance, repair, and replacement costs for the building’s interior and exterior components. Fentress’ analysis is being used by the county to determine the feasibility of using a public-private partnership to construct and manage a new courthouse, compared to the costs of directly financing the construction or renovating the existing building.